I've had these sitting around for a while. I think I bought two of them last year. 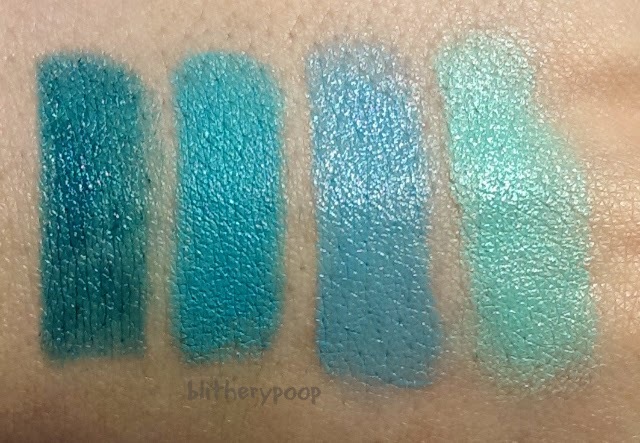 Last month I showed you guys a little layering I did with Teal Attraction and NYX Chambord. Layering was so much fun that I bought a set of twelve more for $14 from an eBay listing. 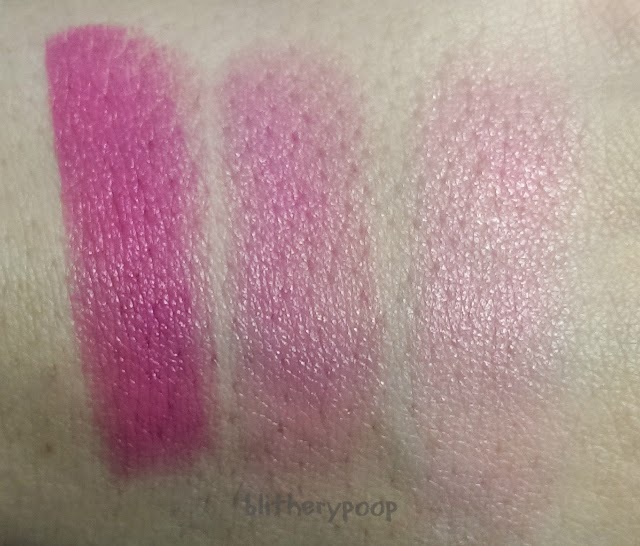 There are four different sets of Femme Lipsticks on KleanColor's site. The twelve I bought from eBay were this entire set. Teal Attraction is from this bunch and I also have Fiesta from this set. I grouped all fourteen together for today's post. I usually don't do back-of-hand swatches, but it felt right in this case since I don't intend on wearing these colors on their own. Hand swatches help a little here, since they do show opacity pretty well. My skin color varies a lot from photo to photo since I was going for color-accuracy of the lipsticks. All are as close to the actual lipstick colors as possible...so it's ok if I look weird, right? Since I didn't wear them on my lips, I can't say much about how they feel or how well they apply. There were a few that stuck out though, some in good ways and some...not so good. One thing they all have against them though, they smell weird. It varies from hairspray to Play-Doh to fake floral, but none of them smell good. Still, the price was low and I'm a sucker for layering, so I can put up with weird smells. Tingling Mimosa was one of those pleasant surprises. It glided on smoothly and is strikingly opaque and creamy. I'm not sure how I feel about that in something I bought to layer, but it's still impressive. 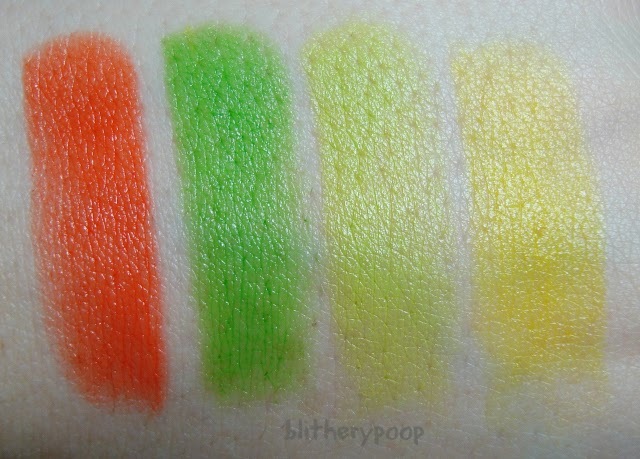 All four of these brights have great pigmentation. Happily After was one of the not-so-good ones. It was sticky, draggy, and hard to apply. It's also virtually invisible on my hand so it might look like nothing at all on my lips. 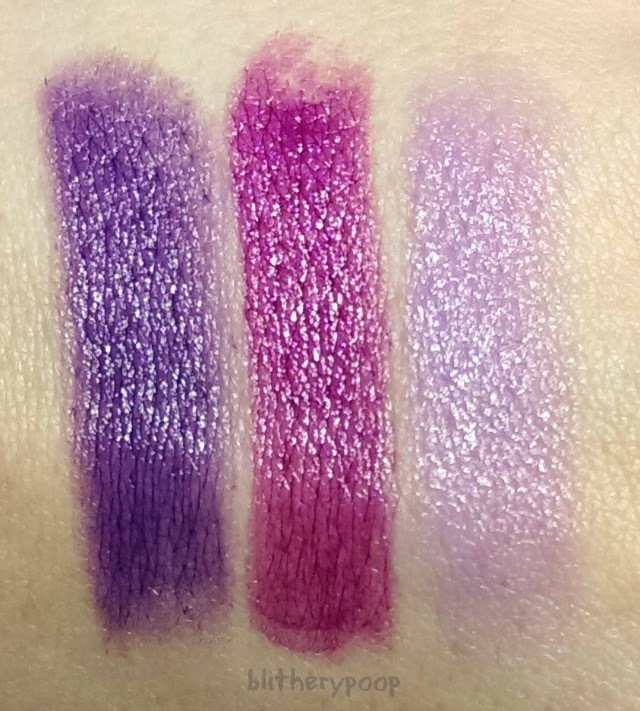 All three purples are sheer and I'm looking forward to playing around with them almost as much as the blues. Sky Dive and Jewelry Box are both surprisingly opaque, but it's After Hours I'm really looking forward to layering. 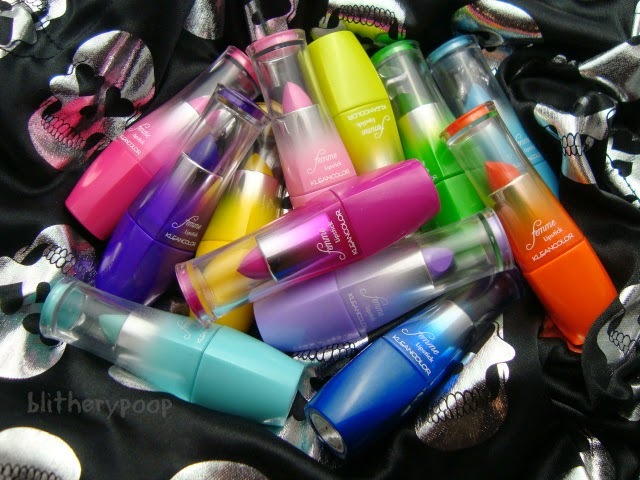 It's the one that got me interested in the Femme Lipsticks in the first place, after seeing G's post on Nouveau Cheap. It gives me...ideas. You'll definitely be seeing these again, actually on my lips. Eventually. And not on their own. Ideas!